If you’re tired of a standard Windows laptop and want something superior, yet still easy to use, the best place to start is with the Apple MacBook Pro MPXU2LL/A. Everything is set up ready to go and intuitive. You can control all of the tasks via built-in pressure-sensing capabilities. The trackpad is able to distinguish between deep presses and light clicks. The full-size keyboard is a “second generation” butterfly mechanism model. MacBook displays are well-known for their exceptional designs. This model has a 13.3-inch screen that features a 2560 x 1600 resolution and a 500-nit brightness rating. It supports dual monitoring and can connect to a second display at a maximum resolution of 4096 x 2304. There is sufficient data management, as the machine is equipped with 8GB internal LPDDR3 RAM. This makes it capable of providing leeway on more demanding tasks and data loads. You can store your files long-term in the 256GB solid state drive, which is soldered (PCIe-based). It has a sequential read speed of up to 3.1 GB/s, and write speed of up to 2.1 GB/s. This laptop is available in either a dark “Space Gray” or lighter silver colored aluminum housing. It weighs approximately 3 pounds and measures 12-inches in width, 8.4-inches in depth, and 0.6-inches in height. The Apple MacBook Pro MPXU2LL/A’s battery is a 54.5-Wh Lithium polymer battery with a run time (typical web browsing) of up to ten hours and a standby time of up to 30 days. You can even get several hours of video playback with this battery per charge! Thunderbolt 3 technology includes an interface that utilizes the reversible Type-C USB connector. It has a 40 GB/s maximum throughput when used with devices that support this technology. It also transmits USB 3.1 data at up to 10 GB/s. There are two ports in total sharing a dedicated bus. The processor is an Intel Core i5 2.3GHz seventh-generation CPU with a maximum turbo speed of 3.6GHz. It’s a dual-core processor capable of performing 64-bit computing. The Apple MacBook Pro MPXU2LL/A is a must-have laptop with its fast operation, Retina display, great battery life, and intuitive touchpad. It’s no surprise that it gets so many high ratings from users. There are many benefits of owning a MacBook, as Apple products are of the highest quality, and you can always expect good customer service. Look over Apple MacBook Pro MPXU2LL/A discounts and promo codes to determine if you are eligible for any savings. There are always ways to save. Apple MacBook Pro MPXR2LL/A Guide: Why Buy This Laptop? What Accessibility Features & Hardware Does it Come With? 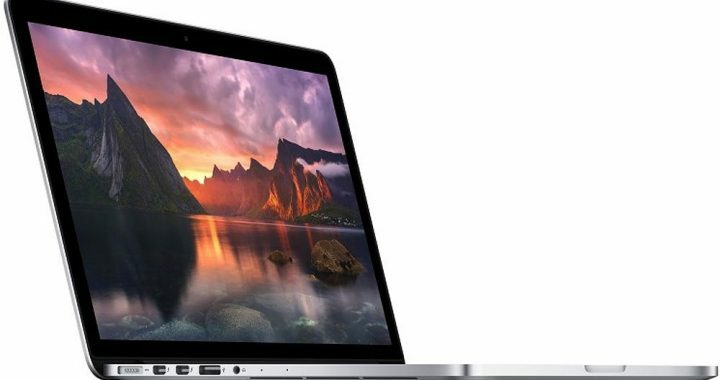 The vast majority of Apple MacBook Pro MPXR2LL/A reviews are positive, and owners are citing things such as the sleek design, portability, long battery life, and amazing picture quality as the reasons why they recommend this laptop. It has a thin design, bright and colorful display, cutting-edge graphics, and built-in Touch ID. Overall, it offers a lot of value for consumers and professionals alike. The speakers are also impressive. They come with a high-dynamic range and deliver high-fidelity sound. Additionally, you get two microphones and a 3.5-mm headphone jack. 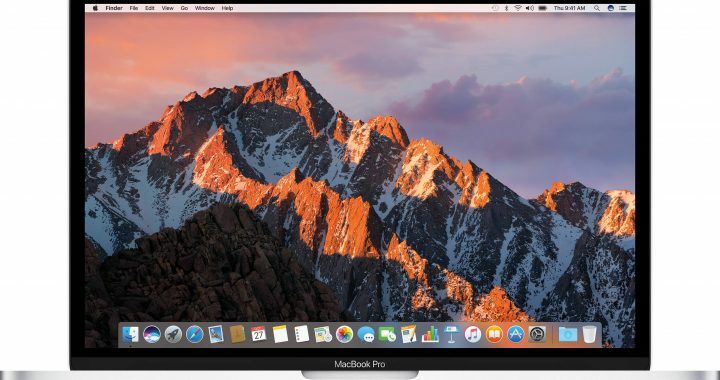 Make your Mac more reliable, responsive and capable by utilizing the features that come with the macOS high Sierra 10.13.x operating system. This OS refines all of the apps and features you use every day. If you’ve never used a MacBook before, the Apple OS is very easy to get the hang of. There are a variety of accessibility tools for users with disabilities, including built-in support for hearing, vision, motor skills, physical, etc. Whether you need Closed Captions, VoiceOver, Siri and Dictation, Increased Contrast, Switch Control, or any other useful accessibility tool, this laptop offers it. What exactly comes in the box? When it arrives, you’ll get the 13-inch laptop itself, a USB-C charge cable (2-m), and a 61 watt USB-C power adapter. For software, all of the Apple apps you know come already installed. For input, there is a nicely designed keyboard with backlighting and a Force Touch trackpad, which features pressure sensitivity and multi-touch gesture recognition. There are two USB-C / Thunderbolt 3 ports that offer support for charging and connecting to another display via DisplayPort. The Thunderbolt technology goes up to 40Gbps, and the USB 3.1 ports (generation 2), transfer at a rate of up to 10Gbps. With the SSD drive, enjoy great performance and speed, as the sequential read speed goes up to 3.2GB/s. Don’t let budget be a problem – the Apple MacBook Pro MPXR2LL/A is worth investing in. These machines are built to be superior to the typical consumer laptop. You can expect it to last for a long time to come. Browse through Apple discounts to find the best deals on products. 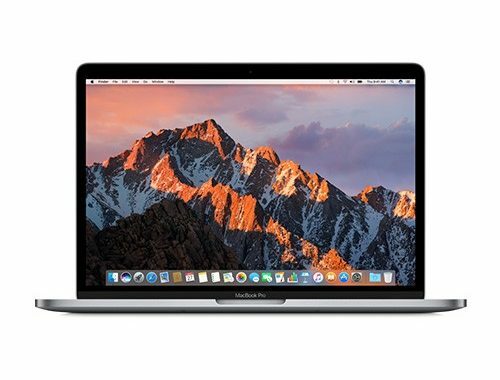 Sometimes there are exclusive Apple MacBook Pro MPXR2LL/A promo codes available, which can be entered in the checkout form when ordering your laptop. Look over the offers today – don’t pass up a chance to save! Looking for suggestions on a fast laptop that offers good graphics performance, 13-inch Retina display, and portability? Then you don’t want to turn down the Apple MacBook Pro MPXV2LL/A. No matter what you need a laptop for, this model will help you achieve your goals quickly and efficiently. This laptop comes with a revolutionary new feature called a Touch Bar, which is a multi-touch enabled glass strip built into the keyboard. It grants you instant access to whatever task you want to do or program you want to open. It replaces the standard function keys with something a bit more versatile and capable. The Touch Bar changes automatically based on what you are doing to show you relevant tools that will be useful for the task at hand. Also, the Touch ID is available on a MacBook, enabling instant login access and secure purchases with Apple Pay. The keyboard itself offers a smooth experience as well. It is designed with Apple’s second generation “butterfly mechanism”, which provides more key stability than what the traditional keyboard with the “scissor mechanism” design offers. Not only does it offer better responsiveness, it makes typing comfortable. Even though the trackpad is nicely designed, you can still order the Apple MacBook Pro MPXV2LL/A with a Magic Mouse 2. This is a wireless mouse with a long battery life. You won’t have to charge it often. It has an optimized design that allows it to track and move with less resistance across whatever surface you want to use it on, whether a mouse pad or desk. The SSD storage is very fast. You get a generous 256GB of storage with the drive, and free cloud storage with an Apple account. The processor is a dual-core 7th generation model (3.1-GHz to 3.5-GHz with turbo boost) and the LPDDR3 memory is 8GB (2133-Mhz). Multimedia applications with graphics work well for the most part with the Intel Iris Plus graphics (650). This isn’t a gaming laptop, but you can still play some games here and there with lowered settings. The MacBook Pro still manages to provide a long battery life, even when you are doing intensive tasks. You’re free to keep watching videos, listening to music, editing, multi-tasking, etc… without worrying about the battery life; it can last up to ten hours. Some of the other great features the Apple MacBook Pro MPXV2LL/A comes with include 4 Thunderbolt 3 ports, 802.11ac Wi-Fi, macOS, and a variety of pre-installed Apple apps that will sync with your iPhone and/or iPad. You can get Apple discounts on select items by shopping online. Whether you’re just looking for Apple MacBook Pro MPXV2LL/A coupons or want to save on other items as well, be sure to carefully look over each offer before going through the checkout process. MacBooks are becoming more and more popular as people are finding it easier to use Apple products. If you’ve ever used an iPhone, you shouldn’t find it difficult at all to use the Apple MacBook MNYK2LL/A. It comes with all of the features you’re already familiar with, like the Sierra browser and iTunes. This one is a nice choice, as it features a 12-inch Retina display and lightweight design. It’s built to last with its durable aluminum construction and premium feel. Don’t let its lightweight and thinness fool you – this really is a sturdily-built machine. The keyboard and trackpad are engineered with advanced, cutting-edge technology such as a butterfly mechanism on the keys and haptic feedback with the touchpad. The keys provide a good typing experience, as they bounce back with a crisp motion. On a traditional keyboard, there is a “scissor” mechanism, which often results in wobbling around the edges. Unless you strike right in the center of the key, there is lack of precision. This isn’t the case with the butterfly mechanism, as it offers a wide range on each key, thus allowing for more accuracy and increased stability. The 7th generation Intel Core dual-core M3 processor provides the MacBook with a fair amount of speed. With turbo speed technology, it can reach up to 3.0 GHz. The built-in 8GB of memory makes the machine even more powerful. You’ll be able to perform all of your daily tasks with ease, whether you want to use the MNYK2LL/A for school, research, work, entertainment, etc. Also included is an Intel HD Graphics processor (615) that offers enough power to work through all of your apps. The USB Type-C port offers charging, data transfer, and connectivity with external devices. It also features video output support for Mini DIsplayPort, HDMI, and VGA connections. All of this is possible with a single Type-C port. Connect multiple things at once with a dongle. With this single, multiple-use port, the Apple MacBook MNYK2LL/A is a lot thinner than other laptops on the market. Save all of your important photos, files, documents, etc… on the 256GB PCI-e based onboard internal storage (SSD) unit. Since it’s capable of faster sequential reading and writing, the SSD allows you to obtain faster file transfers and better responsiveness with system performance. The great thing about owning a MacBook is that Apple can always be counted on to provide the latest wireless and Bluetooth technologies. You can wirelessly connect to the internet just about anywhere and access all of your web data. 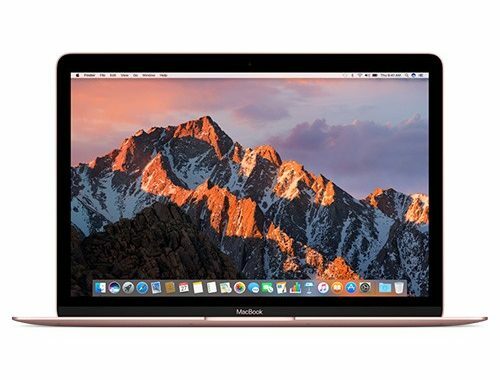 When reading Apple MacBook MNYK2LL/A reviews from customers, you’ll find that some of the things they really love is its speed, stunning display, long battery life, and color choices. There is a common misconception that Apple discounts are rare. However, this couldn’t be further from the truth. There are a variety of ways to get a good deal on a Mac computer. Get started by looking over Apple MacBook MNYK2LL/A coupons to see which one(s) will help you the most. 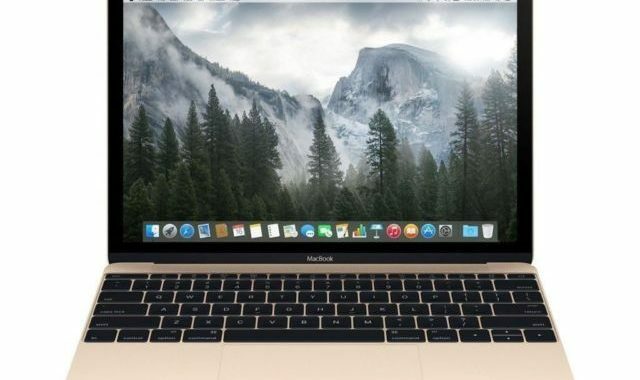 With its full size keyboard, Force Touch trackpad, fast Wi-Fi technology, and great built-in apps, the Apple MacBook MNYH2LL/A comes ready to go the second you take it out of the box. The 41.4-watt per hour lithium-polymer battery is powerful enough to last ten hours for typical web surfing. It’s also capable of lasting for up to thirty days of standby time! The 78 (US version) keys on the keyboard feature individual LED backlighting. There are four arrow keys and twelve function keys. The macOS Sierra operating system powers everything you’ll do with a Mac machine. It introduces Siri to the laptop, along with fun and new ways to enjoy your videos and photos, sync between devices, shop securely online, etc. Other built-in apps include everything from iMovie to Garage Band. This is a small machine that weighs just 2.03 lbs, and measures 7.74-inches in depth, 11.04-inches in width, and 0.14 -0.52-inches in height (depending on how it is configured). The 12-inch Retina display has an aspect ratio of 16:10 and a native resolution of 2304 x 1440. This results in a ppi (pixels per inch) of 226. The LED backlighting is 30% more energy efficient than that of previous generations of Mac notebooks. In order to keep the MNYH2LL/A thin, Apple put in all of the connectivity you need into one dynamic port. Use the Type-C port for everything from charging to setting up Mini Display Port / VGA / HDMI connections. This port is in a reversible design that’s only one-third the size of a current USB standard port. While the trackpad might look like many other trackpads on the surface, it’s entirely unique underneath. First, the force sensor detects the amount of pressure you are applying. When you are pressing anywhere on the surface, the Taptic Engine provides a “click” sensation. That single click is just the start of all of the neat things you can do with Force Touch technology. The trackpad’s sensory capabilities allow you to tell the machine what exactly what you want to do based on the precise amount of pressure you apply. It is able to detect the most subtle of differences. The Apple MacBook MNYH2LL/A is quite impressive with all of the neat hardware, specs, and features it comes with. In addition to the display, it is equipped with a Dual-Core m3 processor, 256GB PCIe flash storage drive, 8GB DDR3 SDRAM, and Intel HD Graphics (615). It’s also available in various colors, including Silver, Gold, Rose Gold, and Space Gray. Apple Store coupons really aren’t that hard to come by, just as long as you have a reliable source. Keep an eye out for educational discounts, promo codes, and a variety of other savings opportunities. You’ll definitely be able to get an Apple MacBook MNYH2LL/A discount of some kind. If you want a laptop with a bright display, full size keyboard, and powerful lithium-polymer battery, why not go with a Mac? You can get a lot of great features and technology out of the 12-inch Apple MacBook MMGM2LL/A. It’s available in a variety of pretty colors, the most popular being Rose Gold. The case is constructed out of sleek, high-quality aluminum, and the LED-backlit Retina Display features IPS technology and a resolution of 2304 x 1440. It’s a thin, lightweight laptop with a 5th generation Broadwell Intel Core M CPU, which is built to deliver an impressive amount of computing performance. The great thing about this processor is that its design includes 14-nanometer processing technology. The display offers a stunning visual experience as it brings images and colors to life on the screen. Since it’s capable of turning 178-degrees, you won’t have to worry about finding the perfect angle when watching movies and videos. The LED-backlighting is actually 30% more energy efficient compared to other Retina Displays on MacBooks. Key features include a dual-core Intel Core m5 processor (1.5GHz – 2.7GHz with Turbo Boost), 8GB RAM, 512 flash storage, and Intel HD graphics (515). The memory has a speed of 1866MHz and the LCD-backlit display has an image aspect ratio of 16:10. The Apple MacBook MMGM2LL/A’s display is beryllium-free, arsenic-free, mercury-free, and BFR / PVC – free. A 256GB flash storage configuration is also available if you want to save a bit of money. However, the 256GB flash version of the laptop only comes with an M3 processor instead of an M5 CPU. Interact with the device efficiently by using the multi-touch trackpad. It gives you full control over navigation and allows you to customize the level of sensitivity. The keys are nicely-designed and proven to be stable and responsive. The machine is equipped with ultra-fast 802.11 ac Wi-Fi technology (dual-band) and Bluetooth 4.0, which allows you to connect wirelessly to the internet and supported accessories respectively. Since this is a MacBook, it comes included with all of the popular Apple apps, including iTunes, QuickTime, the Safari browser, FaceTime, Dashboard, iMovie, and many more. You can access the app store and easily install any other apps you want. It’s perfectly designed for users on the go. You can play, surf the internet, or work anywhere and anytime. You won’t have to worry about the battery dying, either, since the 39.7 watt – hour battery offers up to 9 hours of usage. 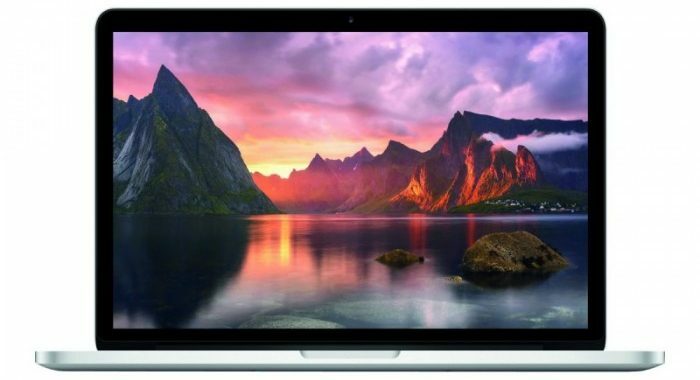 Additional features of the Apple MacBook MMGM2LL/A include a USB-C charge cable, USB-C port, 29-watt output, and the OS X 10.12 Sierra operating system. When shopping for your Apple laptop, be sure to compare Apple MacBook MMGM2LL/A discount offers. There are always special offers, deals, and clearance items offered by online Apple stores, so you shouldn’t have any problems finding a way to save. 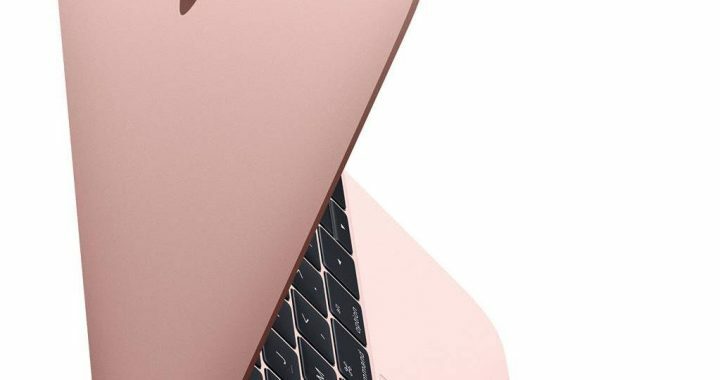 With a 12-inch stunning Retina display, optimized pixel design, and gorgeous color options (including gold), the Apple MacBook MK4N2LL/A is a very nice looking machine. It comes with a new Apple-designed, full-sized keyboard that features a “butterfly mechanism” for typing precision. The keys are larger, yet thinner, and allow for a comfortable typing experience. Weighing just two pounds and measuring 13.1-mm thin, this is the thinnest and lightest MacBook ever. Two things everyone looks for in an ideal laptop are functionality and mobility. It’s not always easy to combine these two aspects, as a lightweight device doesn’t normally have the room for powerful hardware and a large storage capacity. This isn’t the case with the new MK4N2LL/A unit; it offers both functionality and mobility very effectively. The trackpad is another important feature of any notebook or MacBook. This one is designed to allow easy navigation of the laptop’s features and interface, as it is “pressure-sensitive”. Depending on the amount of pressure you put down when using the trackpad, you can create specific functions. Its Taptic Engine utilizes haptic feedback to deliver click sensations. Since the storage comes in flash form, it’s a lot faster than the average spinning hard drive. 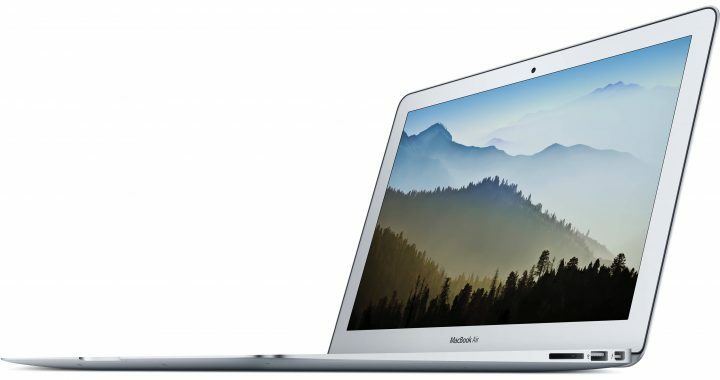 With Turbo Speed technology, the processor adds some speed to the MacBook as well. Choose the amount of storage space you need. You can save money if you stick with 256GB, which is plenty for the typical user. However, if you like to download a lot of large multimedia files, you might want to opt for the 512GB storage. All of your data syncing and charging needs will be taken care of with the versatile USB-C port. The native DIsplayPort offers video output (via adapter) for VGA and HDMI. While the 12-inch display is nice to look at, many people prefer to connect their laptops up to larger displays. No Apple MacBook MK4N2LL/A review is complete without mention of its long battery life. The 39.7 Wh capacity battery is capable of lasting for up to ten hours when fully charged. Also, the fanless architecture means that the system runs quietly. There is effective heat dissipation to prevent the machine from overheating. Grab yourself some Apple coupons before ordering products online. 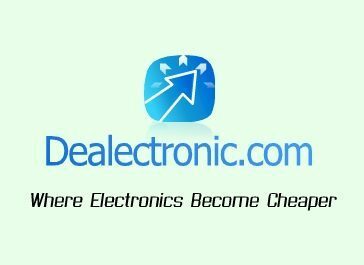 You will likely be able to obtain Apple MacBook MK4N2LL/A discounts if you do your shopping at an internet retail store. If you’ve never used a MacBook before, the transition from a Windows notebook is an easy process – especially if you already have other Apple devices. If you’re looking for a great machine that is nice inside and out, you really can’t go wrong with something like the Apple MacBook Pro MPXT2LL/A. Its eye-catching 13.3-inch Retina display is stunning, and its keyboard is full-size. This notebook takes performance and portability to a whole new level, with its high-performance processors, cutting-edge graphics, fast storage, and more. It’s even made to conserve energy when taking on light tasks, such as web browsing and emailing. The macOS powers the MacBook, as it does with every Apple laptop. This operating system is engineered to work seamlessly with the rest of the system and is very easy to use. It includes all of the most useful and popular apps, from iCloud to iTunes. While you certainly get enough storage space for your files (256GB PCIe SSD soldered), the MPXT2LL/A also offers comes with good connectivity options that allow you to move data between it and external storage devices. The connections include two USB-C / Thunderbolt 3 types and a headphone output. Also, the iCloud is very useful for storage. The case material is aluminum and the display is a 13.3-inch IPS model with LED backlight and 2560 x 1600 resolution (WQXGA). The display’s variable refresh rate and large pixel aperture make it energy efficient. It supports a wider range of color than most other laptop displays out there. When it comes to thin notebooks, there is less space for cooling. With the Apple MacBook Pro MPXT2LL/A, there are innovations incorporated throughout the system that allows heat to be efficiently eliminated. Airflow is increased during intensive tasks such as transferring large files and editing video. Additional specs include a 7th generation Intel Core i5 processor (2.3GHz / dual core), 8GB memory, Intel Iris Plus graphics (640), and a 720p camera. The processor can be upgraded, and with Turbo Speed it can go up to a maximum of 3.6GHz. Use the laptop for longer than usual on battery charge thanks to the superior Lithium-polymer battery the machine comes equipped with. It’s a 54-Wh battery with a maximum run time of ten hours. Get improved video and audio as well, with the high-definition sound output and recording through integrated speakers and dual microphone array. Noise-cancelling technology ensures that the audio is always clear, whether you are talking or listening. In summary, the Apple MacBook Pro MPXT2LL/A is a must-have for anybody who wants a high-quality notebook. It doesn’t matter if you are a student, professional, or just ordinary user, it offers everything you need to get your work (or entertainment) done. Do you want to get a laptop like this at the most affordable price possible? If so, browse for Apple discounts and promo codes that are currently valid. Learn how to save on your online purchase with Apple MacBook Pro MPXT2LL/A discount offers. Don’t think for a second that a MacBook isn’t worth investing in. With their durable construction, Retina Displays, superior keyboard mechanisms, etc., they are definitely built to last. You’ll especially be getting a great deal if you take advantage of Apple MacBook MNYM2LL/A discounts. This particular model has a 12-inch display and comes with a dual-core m3 Intel Core processor (1.2GHz) that can reach up to 3GHz with turbo speed (there is an option to upgrade to an m5 or m7 model). It’s also available in different colors, like Rose Gold and Space Gray. While its body is similar to that of its predecessors, it has improvements, such as a keyboard with a “butterfly mechanism”. This makes the typing experience feel more stable and offers better accuracy. Every inch of the machine is engineered to perfection, from the silky glass trackpad to the laser-cut speaker grille. There is a high-gloss sheen applied to the Apple logo on the lid. When you open it up, you will see that the keyboard stretches from one edge of the chassis to the other. You may or may not like the single USB-C port that the MNYM2LL/A comes with. On one hand, it does require a dongle if you want to connect more than one device at a time, which might seem like an annoying setup. On the other hand, the lack of USB 2.0 and regular 3.0 ports means that you get a very thin laptop that is easy to carry around and hold in your hand. One of the best features is the touchpad. Even on such a small laptop, it still appears spacious. Its Taptic Engine performs very well at simulating actual mechanical clicks. Multi-touch support with the Apple MacBook MNYM2LL/A is as good as it gets. Expect seamlessness with your multi-touch experience. Another high point of this model is its glossy Retina Display, which features 226 pixels per inch, image aspect ratio of 16:10, and a maximum resolution of 2304 x 1440. It’s also designed free of any hazardous of materials, like arsenic in the glass, beryllium, mercury, and so forth. There is a 178-degree vertical and horizontal viewing angle. What kind of other great features and hardware does the Apple MacBook MNYM2LL/A come with? You get 8GB of memory, 256GB solid state drive, wireless WiFi technology, Bluetooth 4.2, a 41.4 Wh Lithium polymer battery, and Intel HD Graphics (615).The 256GB storage drive partitions quickly, making it easy to install large programs. Additionally, a variety of Apple programs and apps are already installed on the MacBook. 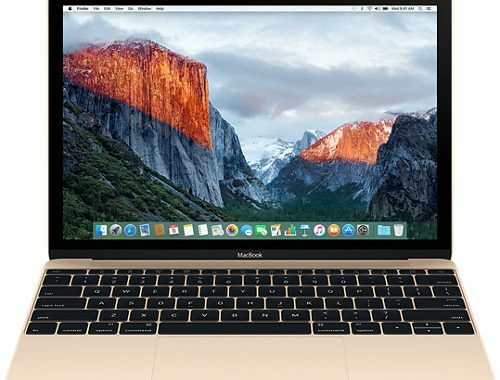 SAVE BIG – Get yourself some Apple promo codes if you’ve decided that you want this laptop. There are so many positive Apple MacBook MNYM2LL/A reviews that it would be a shame not to invest in it, or to overlook discount offers for it.